Sugar Reef Body Butter: A healing body treatment formulated with shea butter, safflower oil, aloe vera and Vitamin E to hydrate, moisturize and silkify the skin. Sugar Reef Body Scrub: A mixture of pure sugar cane crystals, cold-pressed coconut and sweet almond oils slough away dry skin cells, nourish the skin and deeply moisturize even the driest patches. Sugar Reef Hand Cream: Crafted with milk thistle and mango butter to seal in moisture with a protective barrier and heal dehydrated skin. The Sugar Reef Body Butter. I'm most excited to try the Sugar Reef Body Butter. Ooh I'd love to try the body scrub! The body scrub sounds awesome. I love a good scrub. 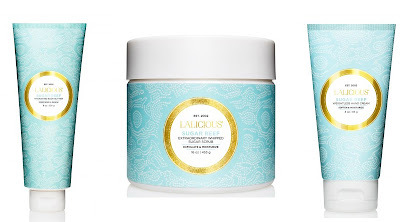 I'm most excited to try the Sugar Reef Body Butter! This LaLicious body collection sounds wonderful. Hope to win. Thanks for the chance. I'd be most excited to try the Body Butter. Love to try the Whipped Sugar Scrub. The sugar reef scrub sounds awesome! Yum I totally want to try these!!! Sugar Reef Body Butter for my dry skin. The body scrub is my favorite. 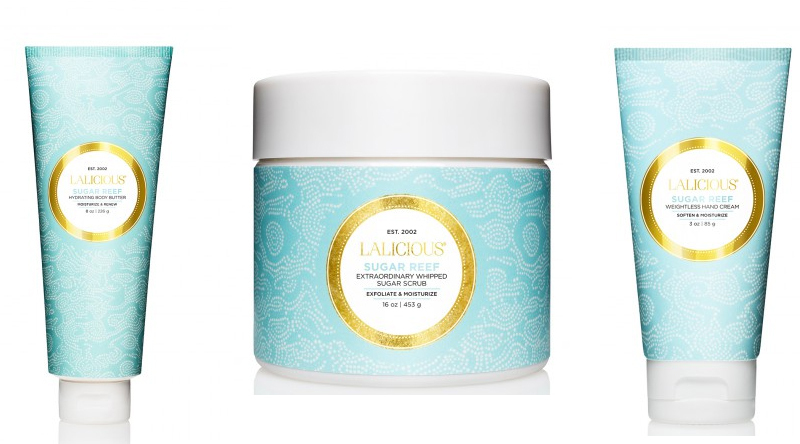 I'm most excited to try the Sugar Reef Hand Cream from this LaLicious collection. My hands are so dry. I'm a sucker for body scrubs. Thanks for the giveaway! I'm most excited to try the hand cream. Winter's coming. I would love to try (and win too) the Sugar Reef Hand Cream. I love a nice hand cream. I would love to try the hand cream. I'd love to try the sugar body scrub! I would love to try the Sugar Reef Hand Cream. Would love to try the sugar reef hand cream. Thank you - Paula C.
I would love to try the hand cream!